Nose: Fruits, toasted brown sugar, cacao nibs. Palate: Oak-y elements take shape on the palate, with a touch of fresh violet, petal and strawberry. Finish has notes of rounded orange, old oak and worn leather. Subtle notes of cigar, fruits and crème brûlée - some hints of coffee. One of the most coveted Cognac producers worldwide have become particularly famous for their exquisite spirit, the Courvoisier Extra Old Cognac. Widely recognized as one of the best XO Cognacs in the world, it is a truly complex structure of eaux-de-vie. Courvoisier have truly selected the finest eaux-de-vie from revered terroirs to create the Courvoisier XO. They have chosen the Grande and Petite Champagne to give the liquid elegance and deep flavors due to the chalkiness of the soil, and the smallest Borderies region due to its profound complexity and rarity. Find out more on our blog about why the inclusion of the Borderies cru is so highly desired in a fine Cognac. The result is a rich and rounded spirit; it is voluptuous and decadent with many layers to experience. As an Extra Old Cognac, it contains spirits between 11 and 25 years of age. The sixth Master Blender of the maison, Patrice Pinet, describes the spirit as his drink of choice should he have to choose one bottle to take to a desert island, and so we can trust that this award-winning classic is one to experience for yourself and with others. The complexity of this Cognac is what makes it stand out from the rest. Only master blenders of this caliber can successfully marry all of the eaux-de-vie from different areas to create a symphony of aromas. 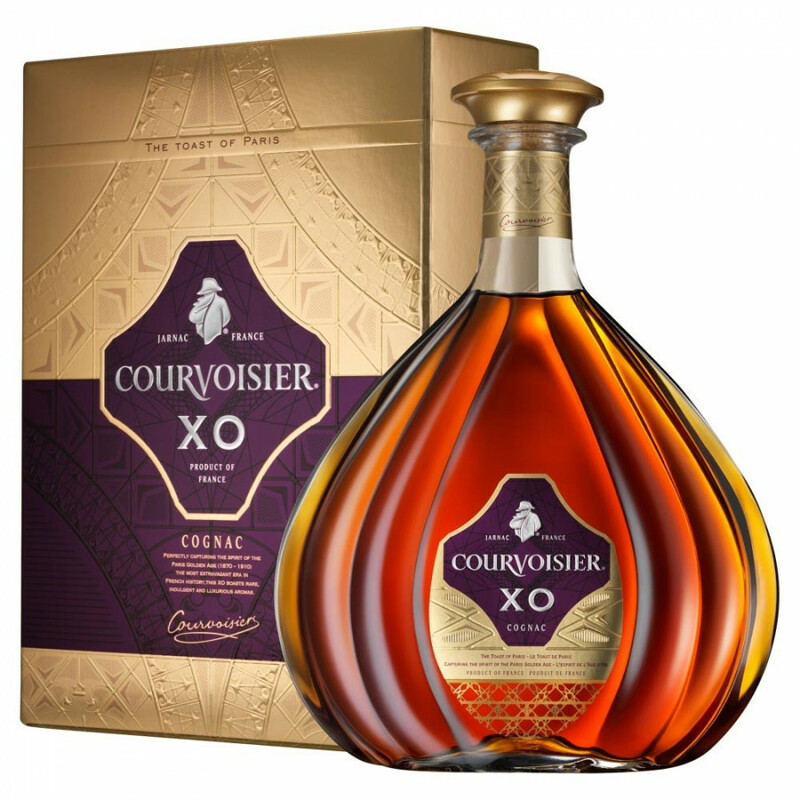 Courvoisier has released a number limited edition versions of this Cognac, including the Courvoisier XO Imperial. This is the perfect Cognac to be gifted or enjoyed with friends. Prepare yourself to be taken on a journey of degustation; from the decanter itself which is wonderfully shaped like a tear drop, to the dark amber of the liquid, and finally to the creamy and floral symphony of flavors and aromas. Enjoy it neat, or over ice. Of all the properties of this Cognac, I would rate the nose as the strongest suite; very floral. On the tongue, very smooth and slightly sweeter than the comparable Remy Martin XO. Very rich and complex. Long and satisfying finish. I would rate this Courvoisier equal in overall quality to Remy Martin XO, but slightly sweeter on the palate, and with a lighter and more floral bouquet to the nose. Overall an superb Cognac, and one of my absolute favorites in this age group, XO. This is a spirit for that special occasion; elegant. The first taste of Courvoisier XO is terrific. Moorish, tasty, viscous and fully developed, this was The Perfect gift for Christmas. A powerful and warm start, evolved slowly into complex and tasyy flavors, providing a great deal of amusement, like a multi-course meal at a Great restaurant. Highly recommend however, priced just a little too high for regular enjoyment.